Outdoor lighting should direct light where it is needed, distribute it evenly, avoid glare and reduce light trespass, without putting light where it’s unnecessary or unwanted. LED fixtures are quickly becoming today’s preferred option for outdoor lighting, because they offer instant to full brightness even in cold temperatures, a long service life, minimal light trespass and flexible control options such as continuous dimming. T5HO and electronic HID (metal halide) continue to be appropriate for many applications. All of these technologies offer good color quality and superior performance compared to older technologies. Numbers on linear fluorescent lamps refer to eighths of an inch and T stands for tubular. A T8 lamp is 1.0 inch in diameter, a T12 is 1.5 inches, and a T5 is 5/8 of an inch. HO stands for high-output. LEDs, or light emitting diodes, produce visible light when an electrical current is passed through a semiconductor. High Intensity Discharge, HID, lamps have an intense point source of light used in outdoor, high-bay and some retail applications. Today’s efficient electronic HIDs use metal halide lamps with electronic ballasts. 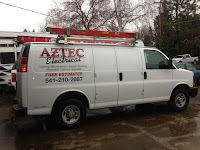 Aztec Electrical is a trade ally with the Energy Trust of Oregon. 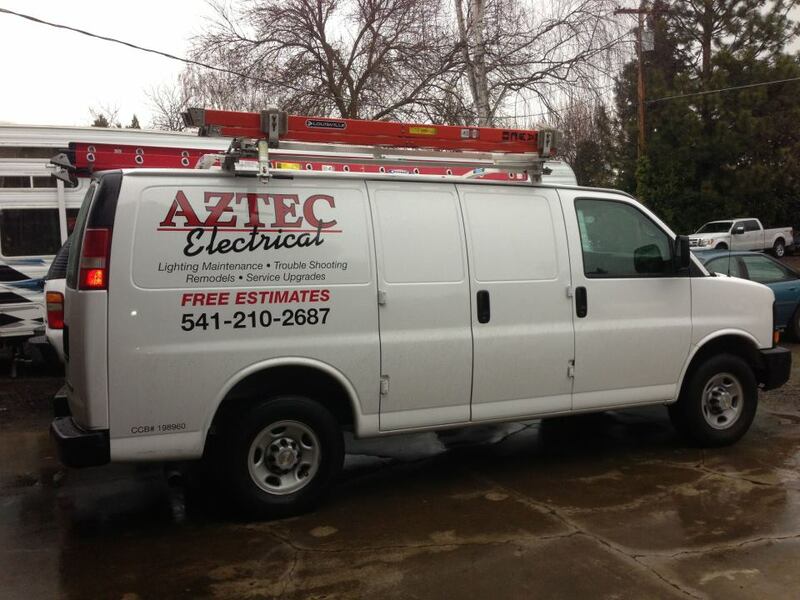 As us how you can receive rebates and cash incentives on your commercial or residential electrical projects.